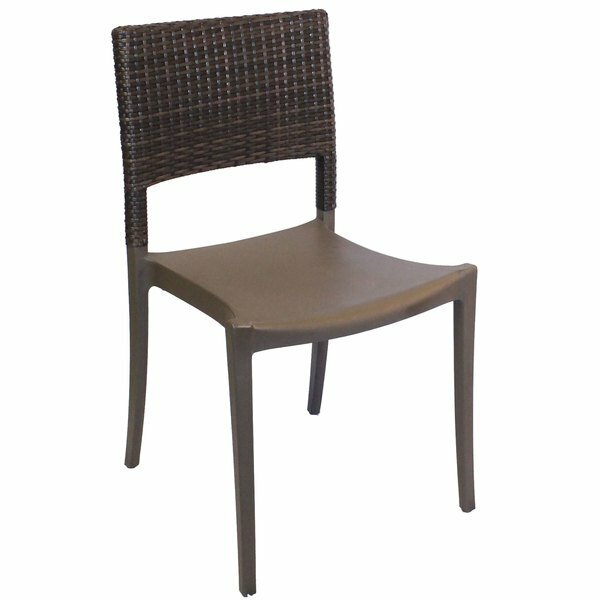 Add comfort and style to your dining establishment with this Grosfillex US925037 / US985037 Java bronze resin sidechair! This chair features a fiberglass-reinforced resin frame that is lightweight, yet durable for long-lasting use. Its contoured backrest ensures optimal back support, while its classic wicker design offers a distinct visual appeal to any commercial environment. Plus, an armless design allows guests to take a seat from three different directions, making it easier to sit down and adjust to their comfort level.